Chiropractors practice natural medicine by using non-invasive techniques to reduce interference in the spine and nervous system, encouraging the body’s natural ability to self-heal. When you’re trying to understand what makes chiropractors different, it helps to know a bit about how chiropractic care works. Doctors of chiropractic are taught that subluxations are one of the main causes of pain and disease. What is a subluxation? The term is originally derived from the Latin words “luxare,” meaning to dislocate, and “sub,” meaning somewhat or slightly. Therefore, a vertebral subluxation refers to a slight dislocation or misalignment of the vertebrae, the bones in the spinal column. It can also be referred to as a vertebral subluxation complex (VSC). This term encompasses the complex neurological, structural, and functional changes that occur when a bone in the spinal column becomes misaligned. In simple terms, a subluxation is a misalignment or abnormal motion of the vertebrae in the spine. These misalignments can cause pain, muscle spasms, nerve irritation, and numerous other ill effects that impact the body’s structures and systems. They can also interfere with the smooth function of the nervous system, the body’s master control system. Subluxations are removed or reduced through adjustments of the spinal column and extremities. This helps the body return to a state of normal working order. It improves the function of the nervous system, reduces pain, and allows patients to begin the journey of restoring joint mobility. What makes chiropractors different from all other doctors? Chiropractors are the only health care professionals who train to detect, locate, diagnose, and correct vertebral subluxation complexes through chiropractic care. For your body to achieve optimal health, it is imperative that your nervous system functions free of interference from misalignments in your spine. Are you ready to experience the difference that chiropractic adjustments can make in your well-being? Contact Loehr Chiropractic & Acupuncture today to learn more about the benefits of chiropractic care or to schedule a consultation. Chiropractors look at the whole picture. Chiropractors look for the origin of the problem. Chiropractors fix the origin of the problem. Chiropractors practice a wellness-first approach. Just like other health care providers, chiropractors follow a standard routine when it comes to learning about our patients. As a new patient, you will be asked to complete paperwork regarding your health history, your other physicians, your insurance information, and other relevant information. If a specific ailment has spurred your visit, some of these questions may seem like they are unnecessary, but in fact, they are very important in diagnosing and addressing your health concerns. As part of getting to know you, we will consult with you, review your case history, and conduct a physical examination. If needed, we will also take x-rays and/or request additional laboratory tests. 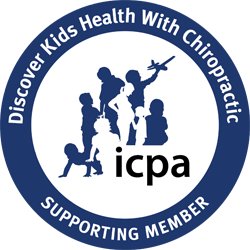 So what makes chiropractors different? Unlike other doctors, chiropractors thoroughly investigate the body’s structure and pay close attention to spinal alignment. We don’t let the details allow us lose sight of the big picture. Our doctors will also ask about what you eat, what your activity level is, if you have kids, and how you deal with stress. Why? All of these factors affect your health, and your health matters to us. We are unwilling to settle for covering up symptoms with medicine. Our goal is to determine how to genuinely improve your overall heath through chiropractic treatments. We use all of the information that we collect from your initial consultation and exam to determine if a chiropractic diagnosis can be made. If further information is needed, we will do our best to gather it. While we certainly hope to alleviate your discomfort, our primary target for treatment is not your symptom; it’s the probable cause of your discomfort. A big part of what makes chiropractors different is that we operate under the principle that our job is to seek the root of your health issue and resolve it through chiropractic methods. We don’t treat symptoms, because we believe symptoms are alleviated when the issue is eliminated. Think about it this way: You don’t put a bucket under a leaky roof and assume it will stop raining inside your living room. Likewise, if you have had a migraine headache, it may be caused by misaligned vertebra and an irritated nerve. Should you continue to take muscle relaxers or pain meds, putting the proverbial bucket under a leaky roof? Or should you realign the spine to prevent the pain and fix the real problem? We have a word for your spine’s misalignments: subluxations. As we discussed above, a vertebral subluxation occurs when bones within the spinal column are misaligned. This kink in the wiring of your nervous system is like a leaky roof; you will continue to have problems until it is corrected. Subluxations can be caused by many things, including over-use, an injury on the sports field, a car accident, poor biomechanics, or even birth trauma. The severity of the subluxation and the problems it causes will vary on a case-by-case basis. Emotional, mental, physical, and chemical factors contributing to your health can affect the severity of subluxations. Examining how chiropractic care stacks up against standard medical care and the use of medications can paint a clear picture of what makes chiropractors different. What’s the main difference between visiting your medical doctor for traditional care and a chiropractor for wellness care? Although their programs are similar in length and difficulty, aspiring medical doctors and prospective chiropractors receive educations that emphasize different things. Medical doctors’ educational background focuses on organic chemistry and pharmacology because that is how they diagnose and treat patients. They seek to treat a symptom by adding something from the outside in the form of a medication, a surgery, or a procedure. Chiropractors seek to engage the body’s natural healing ability by creating an ideal state for it to function properly. Rather than adding anything new to the system, our aim is to remove blockages that interfere with normal function. We trust that under most circumstances, the body knows what to do when free of interference. However, it should be noted that while we firmly believe in the body’s natural ability to heal, we do recognize that traditional medicine has its benefits. If we feel that your particular situation requires it, we will refer you to the appropriate physician promptly. The typical medical approach for a patient with high blood pressure would be to choose a prescription medication to lower blood pressure and ask the patient to take the drug. While this approach may alleviate the symptom (high blood pressure), it does not address the underlying cause of the issue. To further complicate the problem, the side effects resulting from the medication may also inhibit the patient’s recovery. With chiropractic care, we work to identify the underlying problem and correct it. Instead of masking symptoms, this approach supports the body’s natural ability to heal. Wellness occurs when the body works at its ideal state for optimal health and normal function. At Loehr Chiropractic & Acupuncture, we strive for every patient to reach and maintain wellness. To accomplish this, we work to detect the underlying reasons behind the body’s disruptions. Then, we guide our patients toward real healing through the use of several natural health methods, including chiropractic adjustments, various therapies, and lifestyle changes. By creating an environment that encourages your body to heal naturally, we minimize your body’s need for invasive treatment. Ideally, we will improve your physical, mental, and emotional wellness. Schedule an appointment today at Loehr Chiropractic & Acupuncture to begin healing naturally.